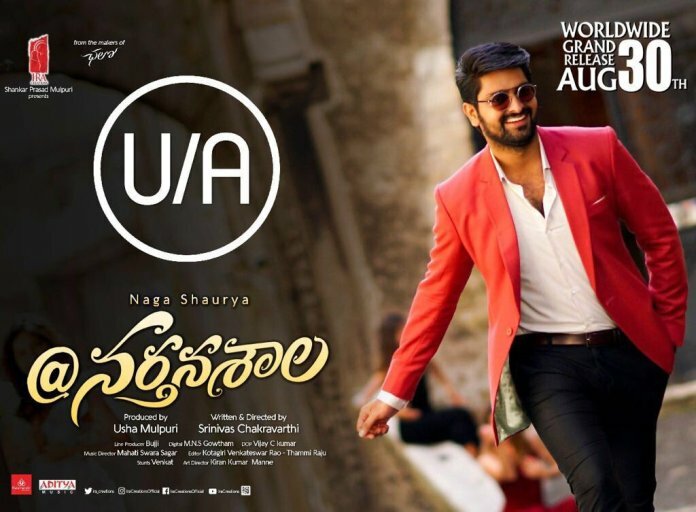 Naga Shaurya`s `@Nartanasala` has fetched some handsome prices for his Home Banner. The film`s Ceded rights have been sold for 1.08 Cr and Coastal Andhra is being done in the Ratio of 3.6 Cr. Total AP/Nizam Pre-Release Business will now be valued at around 7.5 Cr and it is going to need around 9 Cr Telugu Worldwide Share to be a Hit. Earlier This Year, `Chalo` valued at around 6 Cr did a closing WW Telugu Share of Over 12 Cr emerging as a Double Blockbuster.